In the work of preparing sermons and Bible lessons, Bible commentaries are necessary tools. It is my privilege to review books and have now done a few commentaries and plan to do more. Plus I will be doing blog posts on sets and individual books of the Bible. This post will be the index for all such posts going forward. There are several commentary series being published today. Pastors certainly will not find them to be of equal value. To make it worse, many of these volumes are overly expensive. Only in a few sets do I have all the volumes, but in most I have some volumes and have arrived at an opinion. Such as it is, I will share it here. I plan to update this article going forward as I acquire additional volumes. Here is a discussion of each series with some individual reviews attached. The NAC is the pastor’s best option for an exegetical commentary series. The volumes are conservative, of appropriate length, engaging, and helpful. They “interact” with other scholarship without getting bogged down. All the volumes are satisfactory while some of them are standout. Sometimes a few elitist scholars regulate them to little-brother status, but those ministering on the front lines will find them totally superior. In some cases, the scholarly world must confess certain individual volumes stand out. Some criticism turns out to really only a thinly veiled barb at some volumes’ premillennialism. I rejoice that my set is currently complete. The series only lacks a Psalms and Ephesians volume which I hope comes out soon. They should be commended for putting out the series in a timely fashion. In addition, they have the best price structuring of any major series. You can’t miss with this series! Another conservative series with the whole Bible covered in 13 volumes. If you have the old series, you’ll find that half the authors are different and the others were updated by the original authors. It’s a more succinct approach than some of the other series, but still incredibly helpful. A great set! My appreciation grows with each volume I peruse! This new series was originally intended to be a digital-only series, but fortunately, they changed their minds and offered print copies for those of us who will have nothing less. This is your series for quality, exhaustive, detailed exegetical help. These early volumes lead me to believe that they will be the best in that category. They are the opposite of the succinct EBC revised series above. Brevity is of no concern, but nothing imaginable is missed. They live up to evangelical too, and for that reason, I love them! Here is another rival for a commentary to reach to pastors. The series is in the early stages, but if it can continue its quality I predict it will be popular. Slightly more expensive than the NAC, but containing the same helpful qualities. Probably a good priority on your purchasing list. Its release schedule is a little slower than I expected. This series has been around almost since Bible times (or so it seems). As a series it is mostly conservative, friendly to pastors, highly respected, but was poorly managed for several years. Some of its earlier volumes (which are quite good and worth picking up used) were replaced decades ago. On the other hand, several books of the Bible have never been blessed with a volume from this series. The volumes are good, but priced a little too high. This series is well worth getting, if you can find volumes reasonably priced. Newer volumes are more academic rather than aimed at pastors as was the case in its earlier history. It does hold a respected place in the scholarly world. A little more scholarly than the NAC and worth owning. My set is complete and I have used many of the volumes. While there are some duds, several volumes are held in high regard. The theological spectrum is a little too broad for my taste, though I love several volumes.The infamous layout is probably not the problem most claim since the series has been around 30 years and we are all used to it. It actually makes it easier for the reader to skip the part pastors would find least helpful and just read the real commentary. This poor series has been snake bitten in delivering us the Acts and 1 Corinthians volumes. Good to see, though, a nearly complete series and one with a sensible revision schedule. More reasonably priced than many series. You might only want some of the volumes in this series. Famous for archaeology and deep detail. Always fairly liberal and becoming more so with a new editor. Older volumes are easy to pick up second hand. Newer ones are priced way too high to ever have a wide readership. Sometimes you will find a detail that will amaze you and you will find nowhere else while at other times you will be horrified by what you read. Very technical. There is a rumor this series exists but it is priced so high that they apparently were not written to actually be read. You could perhaps mortgage your home or sell a few children and pick up a few copies to rank this one for yourself. The older volumes (pre-1952) can be found used. Think liberal and very technical. This fine series, edited by the eminent D. A. Carson, only tackles the New Testament. Pastors will find its volumes accessible and enjoyable in most cases. (I own and have used about half of them). It is not complete either and I will never understand why its Romans volume by the preeminent scholar Leon Morris would be replaced before we get the first volume on several books of the New Testament. Another series with a little too-high pricing structure, but one you will enjoy having and likely the very best for a series only on the NT. I’m just getting into this series, but so far I’m really loving it. There’s some Greek, but it’d easy to follow. My appreciation grows with every volume I review. A series that lacks the fame of the above series, though some are ranked high. I have the two volumes of Luke and the one on Matthew that are good as well as a few others. Not priced as well as some. At this point, I do not rank as high as the other series above. The format is less ideal than ZECNT. Still, you will probably want several of the volumes. This is a major series. It’s one of the most detailed, scholarly that we have. For that reason, scholars may love it more than pastors. Still, it is impressive. This is a fine series. On the technical side it seems a little below the Word Biblical Commentary series but far better on commentary. Worth checking out, though some volumes may be less conservative than others from reports I have seen. Still, my opinion rises with every new volume I get! A slower release schedule than I expected. What has been released so far is outstanding! I love the format! I have only used the volume on Proverbs and it is really good. The other volumes have a good reputation though some have thought the 3 volumes on Psalms went farther left than expected. Only covers five books of the Bible, but the series is complete. My experience with the Hermeneia and Old Testament Library series is that they will not please pastors with their overly technical and liberal offerings. Eerdmans Critical Commentaries are somewhat similar to the Anchor series and will not get much love. The digital-only format they have now switched to will drive away even more. The Black’s NT series (formerly Harper’s) has some worthwhile volumes, but would not be my first pick. The New Interpreter’s Bible is a big, expensive set that I feel few actually use. The old Broadman’s set is trash dump material. A series entitled Bible Student’s Commentary has excellent volumes translated from Dutch scholars. They are well known for theology but only cover Genesis-Ruth, Isaiah, Matthew, and John. Not only will Sunday School teachers use these types of volumes, but pastors may find them good to arrive at the big picture, or to pick up a few more hints. These are exceptional and I can recommend to anyone. The OT volumes are being reassigned. These are a real help. Work at getting them all. I have loved my complete sets. Several OT volumes have recently been revised and I find them especially helpful. The NT is under revision as well. Economical. Another outstanding set with some really good contributors. The series is now complete and economical. I enjoy these commentaries and am glad my set is complete. I recommend them all. Think help with application with solid scholarly foundation. Far better on the whole than others of its kind. Here’s a helpful series just on the New Testament. Similar to, but better than NIBC. This old series from the late 1800s and early 1900s is well worth looking up on the used market. Solid as the Tyndale series and you will enjoy having both. Here is a critical perspective. I disagree with many conclusions here, but there are many theological insights. It’s helpful to have at least one volume to check that perspective. Most volumes read well. Watch for this new, exciting series. I highly recommend what I have seen so far. A little too brief at times, but still valuable. There are a few standout volumes. This is really two sets. William Barclay does the entire NT. He is incredibly interesting but oddly anti-supernatural at times. The OT set ( I have them all) greatly varies both in the level of help and orthodoxy. These give homiletic help and are easy to find used. Written by scholarly pastors. Another critical series. Some entries are better than others. A good option to get the critical perspective in usually well-written volumes. The New Century series (and the old one actually) are rather bland, brief, and liberal. My limited interaction with the Abingdon series has not excited me. The Interpretation series can provide interesting theological comment at times and nonsense at others. If you find cheap used copies of the following, they are worthwhile: Bible Student’s Commentary (Zondervan), Shield Bible Study commentaries, Everyman’s Bible Commentary, Jensen’s Bible Commentaries. They are all older, smaller paperbacks and are worth a dollar or two each. Though not part of an official series, Cyril Barber has written on most of the historical books. Find them if you can as they are hidden jewels. Here are some series that are especially helpful to expositors and are less well known. They overlap some with categories above, they make for especially enjoyable reading. Some of them come from the UK and are harder to track down. They tend to be reformed, but all are warm and hold a high view of Scripture. They are strong exactly where exegetical commentaries are weak. Hard to find bargains, but valuable for sure. The ones I have had the privilege to use are exceptional. Very similar to Mentor. John Currid is highly regarded in the volumes he did, as are several others. Which is better: Mentor or EP? It is 50-50, and you will be a winner either way. Smaller but containing a few of my favorites including, especially, the wonderful volumes by Dale Ralph Davis on most of the OT historical books. SS teachers will love, but pastors will too. It takes time and money to build a good commentary library. Happy searching! Commentary Sets— here is a review of older sets as well as more devotional ones too. Have you ever been in a meeting where the strong impression is given that any life other than being in full-time ministry is a failed one? Have you not particularly felt that call on your life but been pressured, or even guilted, that if you were where you should be you would go into ministry? I am not sure what level this happens in other areas of Christianity, but it is widespread in the Independent Baptist world. This is a problem, a problem with many implications. I say that even though I love being in the ministry and think it is an awesome life. I also love seeing young men go into the ministry and fear we may eventually face a crisis where there will not be enough in ministry to meet all the need. Still, to say that one must be in full-time ministry to please the Lord is wrong on many levels. It degrades those you who are called to other noble lives. It overlooks that we need Christians in every honest field. It misrepresents Scripture as well. Think of some great Bible characters who were preachers. The most collateral damage with this problem materializes in misspent lives. It could be as minor as a young person being forced into Bible college. That is a minor thing as Bible college could do you some good even if you did something else. Then, though, there are those highly-charged services where the aforementioned pressure is put on and many respond to “the call.” Then some fine young will not want to be the one who doesn’t love the Lord and in an emotional moment he will go forward and say he is called. This will go wrong in some way as “the call” is real but must come from the Lord and not emotions. That young man may graduate and then either fail completely, not because he is bad or undedicated, but because he is uncalled. Or he may never land in a pastorate and feel like a failure when he is only uncalled. Some of these guys make wonderful Christian layman and thrive in some career that they thought was only to pay the bills. They may do pulpit supply, or be a deacon or song leader and do fine. Why? Because it was where they were called. I hate to see young men who finally stumbled into their real calling still feel like a failure on some level. It simply isn’t true. The lesson for us is that we should encourage those who faithfully serve the Lord even if they once thought it was to be in ministry. We should also quit putting undue pressure on our young people. Our counsel should be that they find God’s will, no matter what it is, and give it their best. It is far better to pray for God to call more men than to push young men into a call they did not receive. This would spare a lot of pain on many levels. 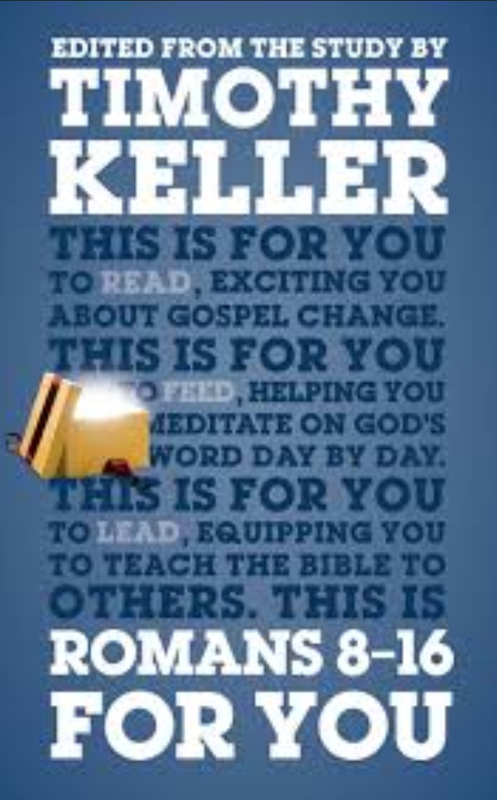 Timothy Keller here finishes his fine commentary on Romans in the “For You” series published by The Good Book Company. Each volume I have in this series has been a winner and this volume continues that high standard. Keller always reads well and that turns out to be maintained in commentary writing. This volumes covers the great battleground of Scripture (Romans 9-11) and, frankly, I hold to a different viewpoint than him there. I will not rank this volume lower on that account as personal agreement is not always the first necessity in a good commentary. He writes respectfully, and though he did not change my mind, I appreciate his attempt and the thought provoking things he said at times. Throughout the rest of the book he seemed less inclined to support a position and gave outstanding explanation of the text. Notice the fascinating discussion comparing a slave and a son on page 34 as an example. Or his discussion of disputable matters for Christians on page 145. There are many such examples. The series as whole reaches from Bible students all the way to those who teach and preach it. It is a rare series that can effectively span that range and this one does. I highly recommend it. Here is a book on a hot topic in our day–what church leadership ought to look like. With a clear call to be a true shepherd, this volume also discusses church polity. It is written from a Baptist perspective, is kind to all viewpoints, and it it has no problem stating its own position. Eleven contributors join forces to give us a clear, worthwhile volume. Beginning in Bible times, this volume discuss how much the church borrowed from a synagogue background of the times (not as much as some say it concludes). Chapters 2-4 masterfully guide us through the Gospels, Acts, and the Epistles. While the volume speaks passionately at times on ministry, it could as easily find a place on the ecclesiology shelves. Two chapters explain Catholic polity. Though I found that less interesting, a good case was made for the affect that has had on all Christianity. Next we have the Presbyterian model of church government well explained. Then Anglican thought is described. Finally we have Baptist thought discussed. As a Baptist, I think the reasons we do not agree with the above options are well given. Then, the authors go on to show that they believe a plurality of elders are the correct biblical model too. I do not agree and was unpersuaded by the arguments given. They were fair and candid, however, in mentioning that there is little proof that this is the historic Baptist position. 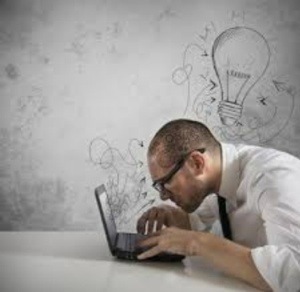 They work had at making their case and readers will do well in learning from them as they state issues well. 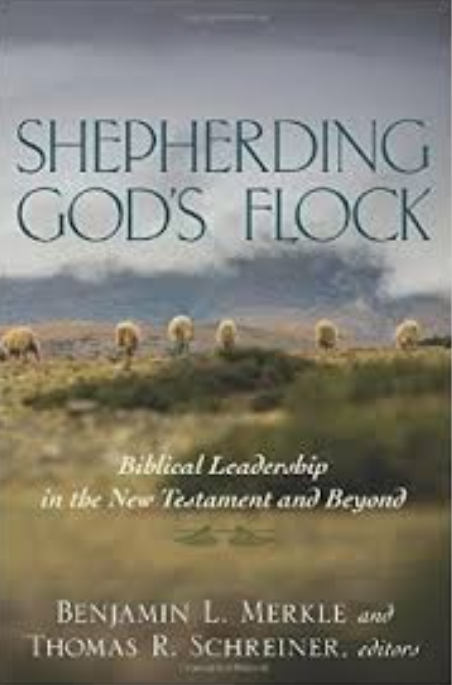 Chapter 11 is a superb conclusion about shepherding a flock today. We can learn from this volume. It was surprising. Some time before I came through and asked my wife Alicia what she was writing and she kind of did not answer. I thought little of it. Later, I came through again and she said I am blogging on “Why I don’t like what my husband writes.” As I said, that was surprising. I replied, “No, it sounds catchy.” Real catchy! Then she read it to me. That is when I realized even more fully just what a dilemma dealing with some of these issues I write on in this Truth Revolution series actually is for some folks. That is not to say, though, that I haven’t dealt with some hard things over people incensed with any rocking of the boat I have contributed to. Still, for those who were raised from birth to accept all thoughts pre-thought for you, this can be unsettling. Perhaps this explains the many who would agree with me and those others who write on this general subject, yet have little to say about it. They carefully leave no public trail that can be followed to their real opinions. I offer no criticism for it, but I must admit to being rather mystified over it at times. Perhaps what my wife Alicia feels proves just how hard it is. If you know her, you know that speaking her mind is not a struggle for her. That it would be in this one case shows how griping the tentacles of guilt and how strong the ties nailed down in one’s youngest days are. Does this not prove something is amiss? If you are afraid of what someone is going to say or do, does not that person have control of you? I say the job is not done until we are free to be who we really are and answer only to Christ. So I re-blog my wife’s transparent article as a fine specimen of what the Truth Revolution series is all about. I have a problem. For some time now, my husband has been blogging almost every Tuesday morning about the danger in our Independent Baptist churches. I have grown up Independent Baptist. My husband grew up in a little country Southern Baptist church. I went to an Independent Baptist college. My husband went to the University of Tennessee. We met and married in an Independent Baptist church. We have always served in an Independent Baptist church. I was bred an Independent Baptist while my husband chose to become an Independent Baptist in college. All of my siblings attend an Independent Baptist church. Most of our friends either attend or pastor an Independent Baptist church. So, I am well aware and conversed in the practices and methods of the Independent Baptist. Does it excite you to read of God’s mighty work going on in the most unlikely of places? Does reading of revival in places of intense persecution move you? 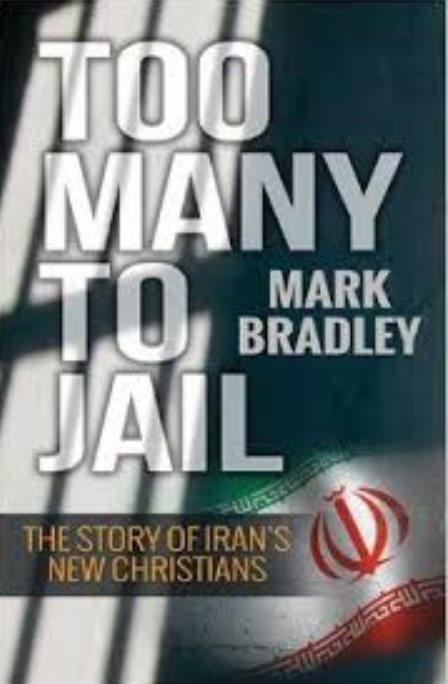 You will, then, love this new volume by Mark Bradley, and published by Monarch Books, that tells the story of Iran’s new Christians. The author holds to the theory that God often does His greatest work where persecution is strong. I fully agree. Iran would have made my top 5 hardest countries for Christian work based on my superficial understanding of that country. Forces at work there are far beyond what I realized. The author explains quite well how Islam and its radical ways has turned many Iranians against it. The so called Revolution has hurt the people there in so many ways. Then the presidency of Ahmadinejad deeply hurt that nation financially, as well as corruption and abuse in the name of Islam only made it worse. He shows how they in their pain are attracted to Jesus Christ. Many are turning to Christ fully realizing how great a price they may pay. In fact, many have paid it. Amazing, Christianity just keeps going. The last part of the book shows how house churches are what is working there. There is no way visible churches could work in the current environment, but despite the authorities’ best efforts, house churches are thriving. There are a few unusual aspects of the revival in places as one element of it seems to come from charismatics. The author seems to approve, but it is very little mentioned. Most great revivals I have ever read of seemed to be a little loose on the margins. Still, this is a fine volume. Make sure you leave right. Ever heard that one before? It can be said to church members, and especially to departing staff members. I’ve had many a letter describe a sordid tale over simply leaving. In fact, a reader even asked me to tackle this topic. This is an awkward subject in the sense of who wouldn’t want to follow “make sure you you leave right” as a principle? In leaving one could, of course, be unchristian and bring damage to the cause of Christ. We should recommend this as a course of action to each other in the instances of life where we must leave. Just because it is a good thing to do, and a good step to recommend, does not mean it cannot be used in some bad cases of abuse. 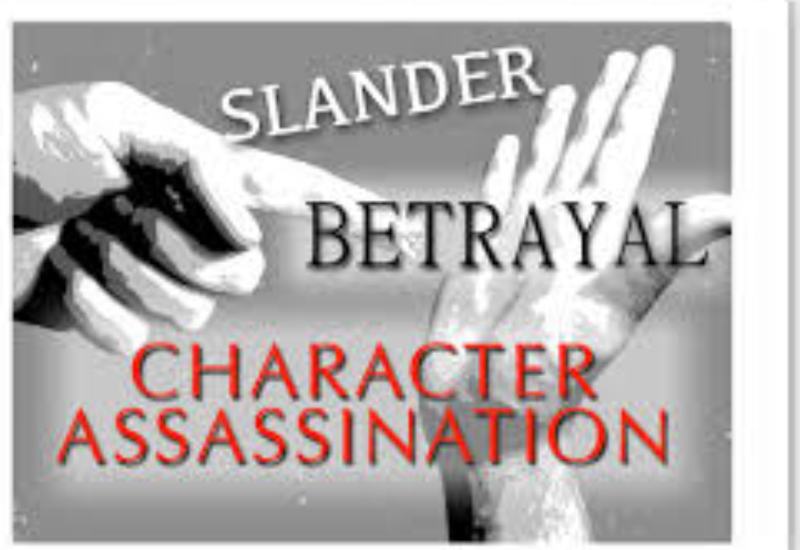 It most often rears its ugly head when a pastor abusing his role like an oily hireling uses it as manipulative–PR moves, scapegoating, character assassination, or ego enhancement. Oftentimes the church member or staff member will strive to leave in the best possible terms. Some things that could be said are graciously left unsaid. Care is taken to get into no gossipy situations. And especially, must respect is afforded the pastor. Then sadly, that respect is not returned. Accusations are made. The pastor acts like the ends justifies the means even if that means destroying someone to protect his ministry. Sad when we forget it is God’s ministry. In some cases it is only an assistant being called out to other work. This should be a cause of rejoicing like a Timothy going out from Paul, but instead the pastor is only concerned with the immediate impact on him. He acts like his ministry is the height of God’s work instead of seeing that God’s work often thrives by others being sent out. We need a call back to pastors as shepherds. We give our lives for the sheep, not destroy the sheep we were called to love and care for. May God help us. Looking for a book that would help newer Christians, or those seeking to get more up to speed as a believer? 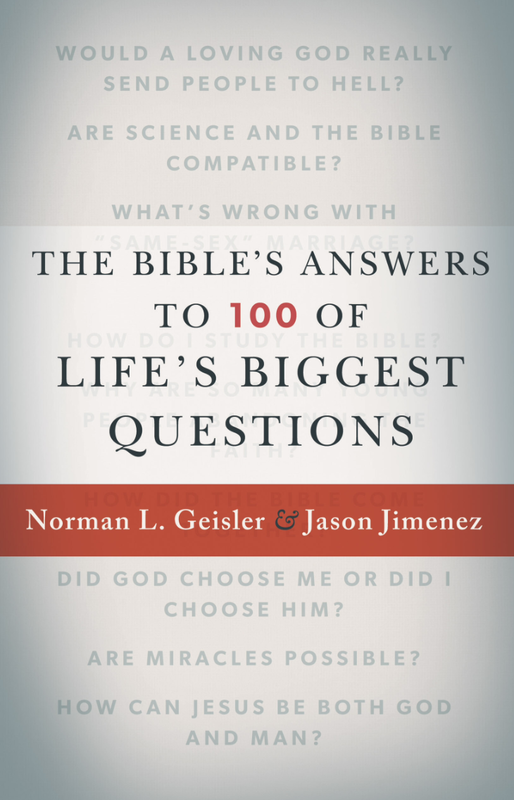 Here in a book with an ideal format of questions and answers, this volume by Norman Geisler, famed apologist, and Jason Jimenez, published by Baker, will be an asset to you. The first 18 questions are superb in their succinct guidance on things like, “Who made God?”, or “If God, why evil?”, or even “What happened to the dinosaurs?” The answers sparkle with the kinds of things we need in this rough-and-tumble world. Think confronting the tough questions of others as a Christian. Parts three through seven (questions 19-59) cover basic doctrine in areas of Christology, the Holy Spirit, sin, salvation, Heaven, Hell, angels and demons, the Church, and end times. Basic truths are given at a level essay to grasp, and though we might quibble over some statement, most pastors would be thrilled at folks learning these basics. Next we have questions for the Christian life. A few are so basic, but still just perfect for a new Christian. Then in questions 71-78 help for difficult social issues are given. Part 11 on world religions, again Mr. Geisler’s specialty, could hardly be better. It is not an attack on them, just explaining where there are fundamentally opposite of, and incompatible with, Christianity. The last questions on the family seem a little trite, but the book, for what it attempts to be, is a winner! Have you ever had the charge that you have left doctrine? Of course, some have left doctrine to even take up with another gospel. In such a case, that is a fair assessment. But what about receiving that charge for something of lesser magnitude? Perhaps a temptation to all Christians, and certainly a common one in the Independent Baptist world, proclaiming one has left true doctrine simply simply because he or she disagreed with you is an all-too-common occurrence. Some say that very thing when one takes a different opinion on dress standards, or music preferences, etc. That is a flawed, illogical charge because it assumes that all issues are equal. We break fellowship over changing the plan of salvation, but we also do over a change of standard. In both cases it is charged that there is a change of doctrine. There may be a change, but it is not necessarily one of doctrine. Those who make the charge flirt with hypocrisy for the simple reason that neither they, nor anyone else, really believes that all issues are equal. I have seen cases where one breaks with someone because they changed a dress standard, but went and preached for a friend whose music is different and conveniently looked the other way. Or other cases where the music standard was held absolute, and they overlooked some other loudly-professed belief–like eating at a restaurant that serves alcohol. The examples are endless. 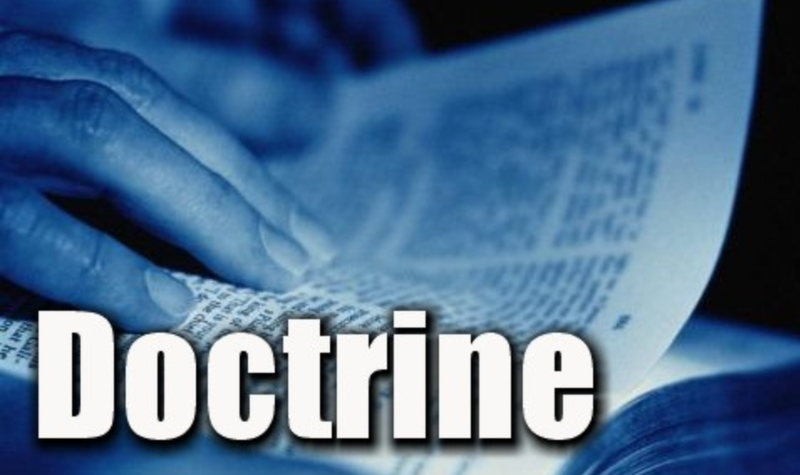 It is true that “doctrine” refers to “teachings”, or particularly, the content of teaching. Still, it does not follow that all are of the same magnitude. I know people have given their lives for the Gospel, but I can’t remember someone doing it over the issue of attending a movie theater or not. Again, no one really believes it is so. If a person believed it were so they quite logically would be required to leave off every person who held a difference of opinion on any issue. That is to say, they must on EVERY issue. I have never yet seen any person, even the most militant, ever do that. Their actions, then, prove that they believe value judgments must be made. Once your actions prove you believe value judgments can be made, then we must agree that our only real argument is what those value judgments are. Without some measure of charity, that argument becomes only that my value judgements are better than yours. The exceptions I make are acceptable, but yours are not. Then, you could only say they left your opinion. You could not say they left doctrine. That is why sensible Christians have always realized those things that make up essential doctrine. Perhaps they called the fundamentals of the faith, or irreducible truths, but they were the things that held up Christianity. Without them there could be no Christianity as described in the Bible. None of this is to say that I shouldn’t try to arrive at certain Biblical opinions, and when I to the best of my ability determine it, then I should live it as well. Still, I will not label differences on non-essentials as leaving doctrine. I will not be so sure of myself to dare do that!